Barring a few changes, everything from specs to pricing remains pretty much the same on the OnePlus 5T. Chinese handset maker OnePlus on Thursday unveiled its new flagship, the OnePlus 5T, at a glitzy event in New York. The insides of the smartphone are pretty much the same as compared to its predecessor, the OnePlus 5, that was launched just five months ago. While OnePlus has kept the pricing of the OnePlus 5T the same as its predecessor. The device will be available in 64 GB and 128 GB (midnight black) variants for Rs 32,999 and Rs 37,999, respectively. 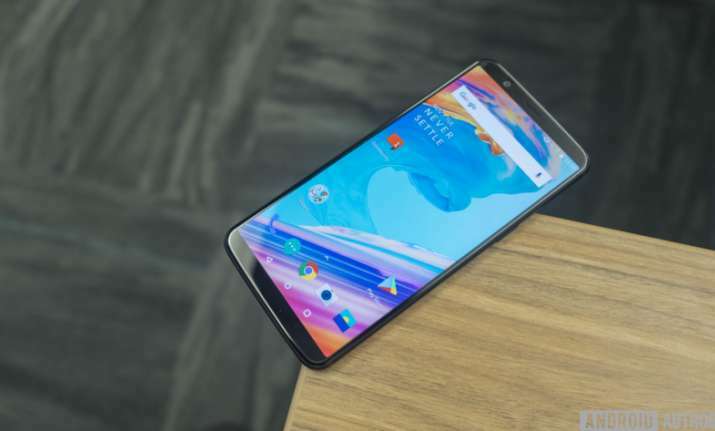 OnePlus has said it will be made available for open sale starting November 21, while there is an option to get your hands on the new flagship starting November 21 through an early access sale on Amazon, oneplusstore.in and OnePlus experience store in Bengaluru. While OnePlus’s early offerings were dubbed as genuine flagship killers, it remains to be seen if its latest offering gets anywhere close to that. Regardless, there are many firsts that OnePlus has brought to its offerings as it looks to strengthen its market in the premium segment. OnePlus Founder and CEO Pete Lau said at the OnepLus 5T launch event that while the feedback on OnePlus 5 was positive, there were areas where the company saw room for improvement to create an even better user experience. It is this idea that appears to have gone behind the launch of the new flagship just five months after the launch of the OnePlus 5 which had a lot of hype associated with it. Making the OnePlus 5 obsolete so soon may annoy its users who spent a lot of money to get their hands on one, but the company has its eyes on competition. Most of its competitors have already adopted the 18:9 screens in their latest models and OnePlus did not wish to be left behind. It is perhaps for this reason that the company has kept the configurations and price points like its predecessor. The screen size on the OnePlus 5T has been increased from 5.5 inches in the OnePlus 5 to 6.1 inches. The increase in size is due to the shrinking of the top and bottom bezels and switching to an 18:9 ratio screen instead of a 16:9 screen. So, you get a bigger screen while the phone pretty much takes up the same amount of physical space as its predecessor. Contrary to rumours, the OnePlus 5T does not come with the Snapdragon 836 SoC and packs the same Snapdragon 835 as the OnePlus 5. OnePlus 5T also introduces a new finger print scanner at the rear of the phone instead of the front like all its predecessors. Experts said it is every bit as smooth as it used to be. Another new feature that OnePlus 5T brings is facial unlocking system in its new flagship. It does not use the complexities that Apple’s Face ID does, but works with accuracy and speed. With many sensors missing on OnePlus 5T’s new facial unlocking system compared to the iPhone X, the system only uses the forward facing camera and analysing over 100 data points on a 2D image to decide whether to unlock the handset if the system is turned on. Beside the new display, OnePlus’ biggest tweak with the 5T is a novel camera system. Instead of the traditional combo of a wide and telephoto lens like in the OnePlus 5, the new phone packs a second “low-light camera.” Both the main sensor and the new one have lenses with an f/1.7 aperture on them, making it good for low light clicking. In scenarios of very low light, the 5T will automatically switch to its secondary, which is supposedly better suited for those shots. On the software front, OnePlus disappoints by not managing to ship with Android 8 Oreo. You’ll get Android 7.1 Nougat at release, with the company making the standard promise to update your device as soon as possible. One interesting addition with the 5T are so-called parallel apps, which will allow you to clone an app and run multiple instances of it: most useful for social apps like WhatsApp or Twitter where you want to be able to access multiple accounts at once. OnePlus 5T has stuck with the headphone jack like its predecessors and hasn’t gone introduced wireless charging as well. Its time, says OnePlus, hasn’t really come yet. Previous StoryOnePlus 5T launched at Rs 32,999, available in India from Nov 21 on Amazon Next StoryOnePlus 5T vs iPhone X: At less than half the price, is OnePlus' new flagship a better choice?